gallery | I Haz An Adventure! 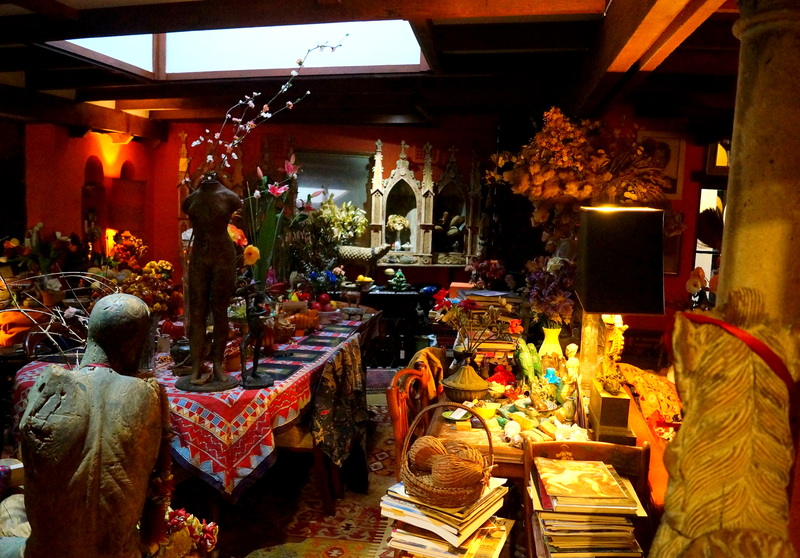 Margaret Olley, one of Australia’s most prestigious artists, has had her life and work commemorated through the re-creation of her Paddington terrace house at the Tweed Regional Art Gallery. 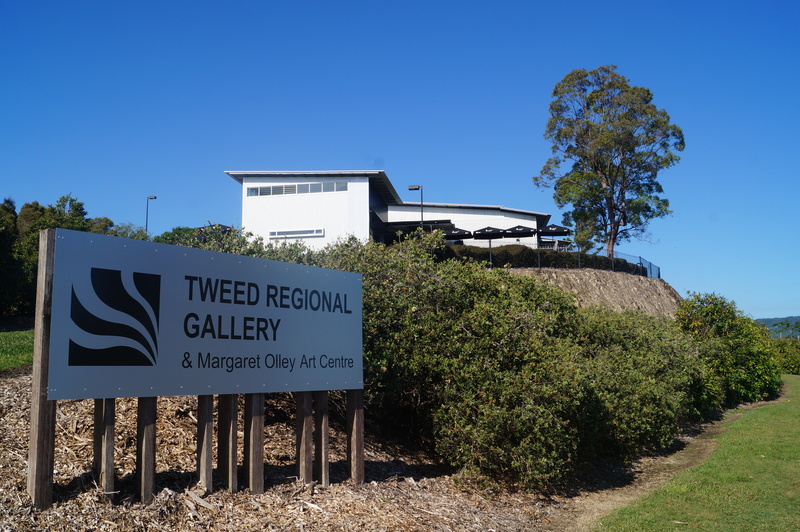 The Margaret Olley Art Centre (MOAC) is the latest addition to the gallery, who were gifted $1 million by the late artist’s trust estate, with additional funding received from the federal, state, and local governments, as well as independent organisations. 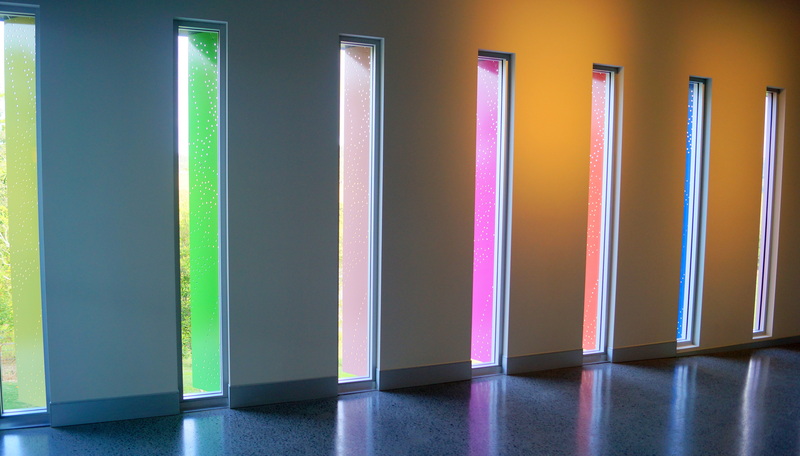 This delightful gallery is available free to the public and showcases a range of exhibitions from local artists, HSC students (Art Express), travelling exhibitions, and a permanent collection. 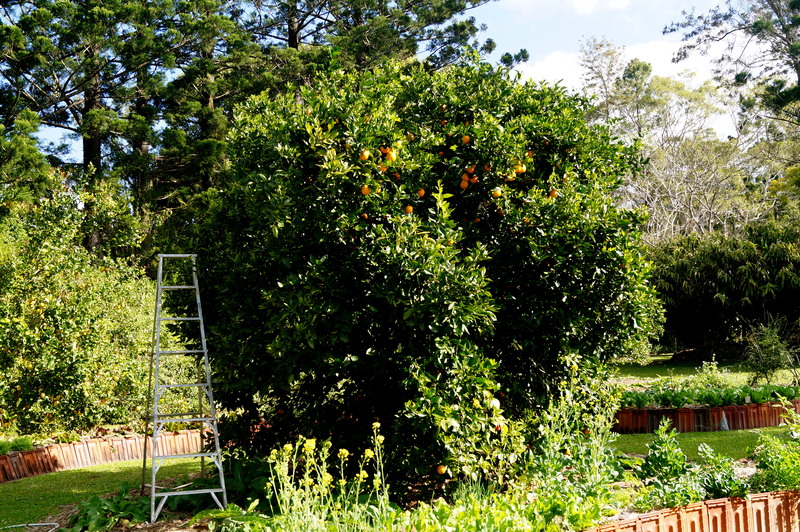 A private collection of Margaret Olley’s paintings are currently on display until 14th September 2014, while the re-creation of the artist’s home studio will be a permanent exhibition. 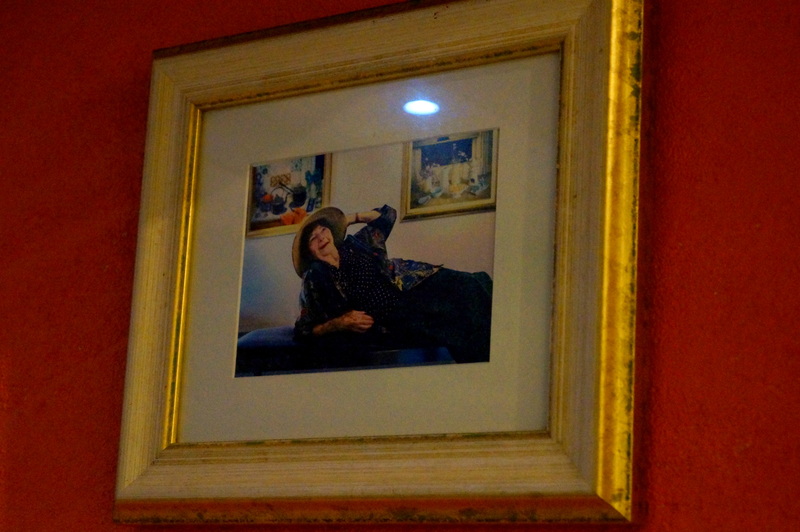 Margaret loved to collect items for her still life paintings and leave them in her home permanently. The rooms on display are filled with over 20,000 items that Olley collected over the years for use as subject matter and which still remain today. 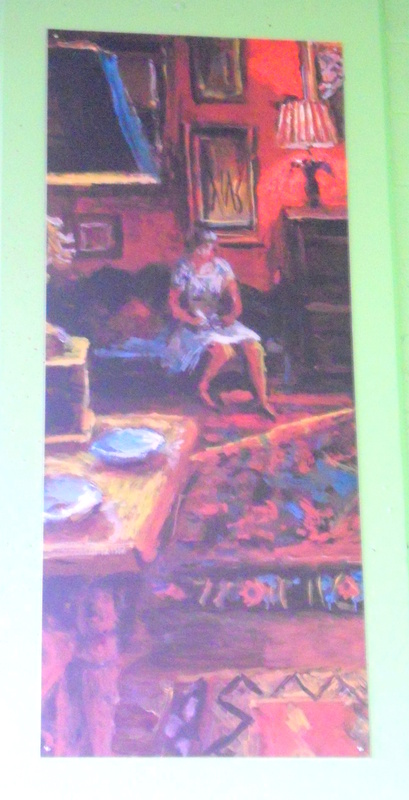 She had a long and successful career painting still life and interiors, and continued to paint up until the day she died, passing away at the age of 88 at her home-studio on 26th July 2011. The gallery itself is an artistic masterpiece. 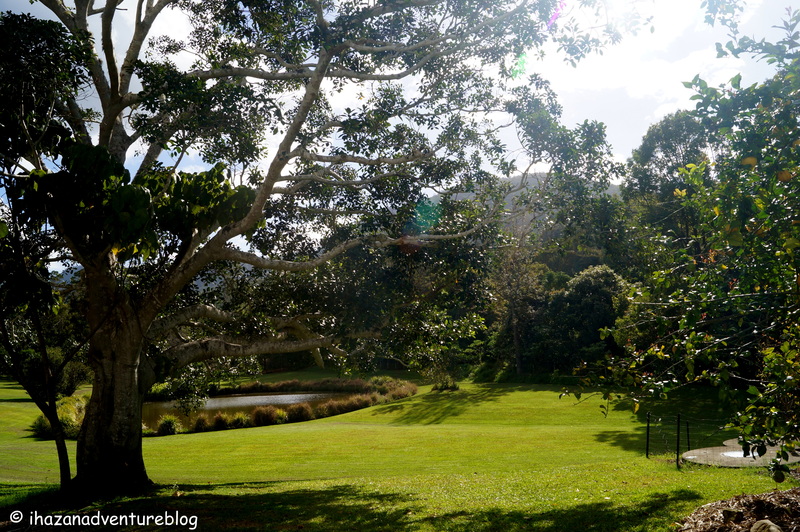 Designed by Brisbane architect Bud Brannigan, it was officially opened in the picturesque Tweed Valley in 2004. Brannigan used clever techniques to maximise the scenic location without distracting from the artistic beauty inside. 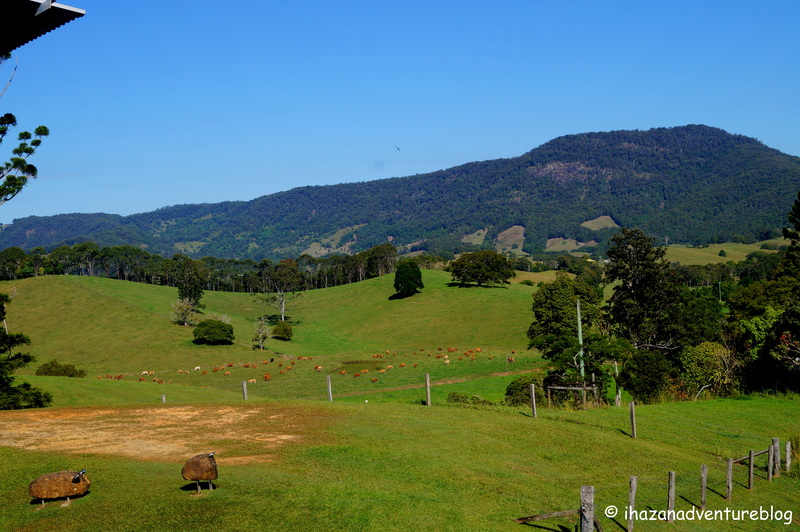 There are many floor to ceiling windows which give glimpses of rolling hills and valleys dotted with contented grazing cows. 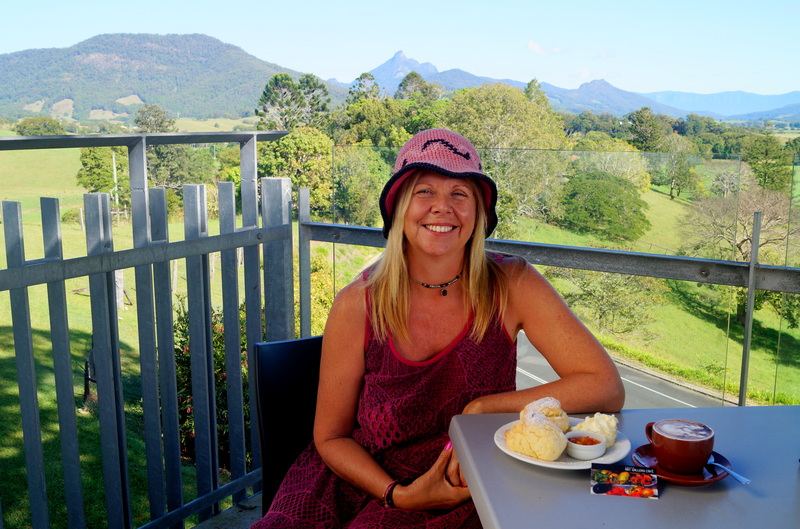 The outdoor café boasts panoramic views of the magical hills of Murwillumbah, located in the Northern Rivers region of New South Wales, Australia. 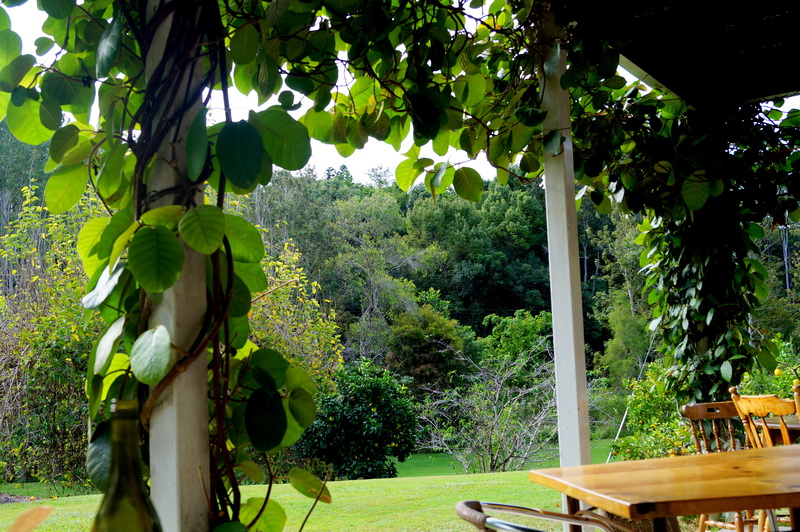 And if you like your caffeine with a view, you won’t be disappointed here. 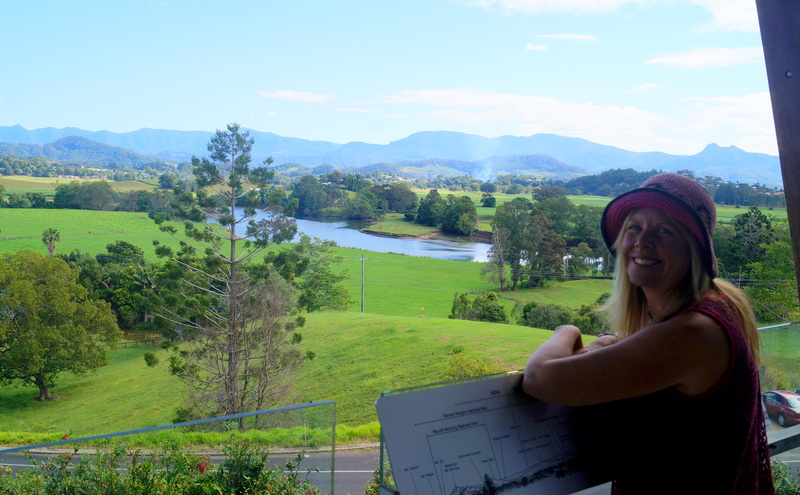 The building also provides outstanding views of Mount Warning, an iconic landmark in this area and a place of cultural and spiritual significance for the Bundjalung Aboriginal people. 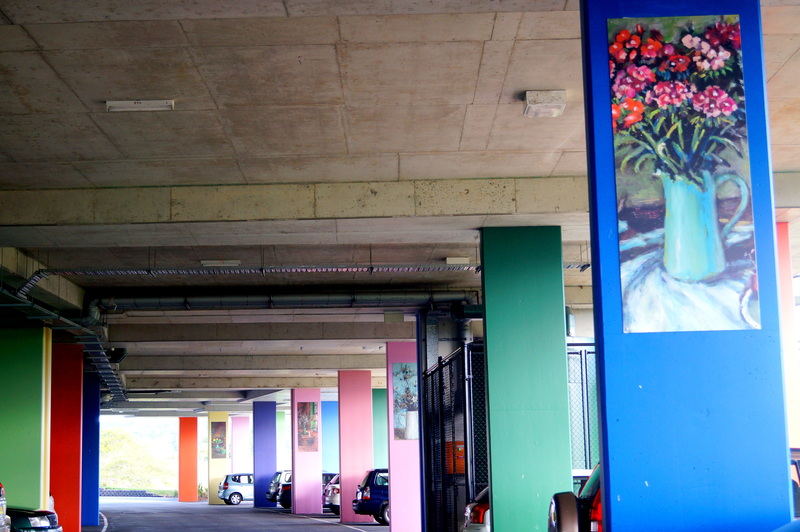 This gallery also boosts the most artistic car park I have ever seen! 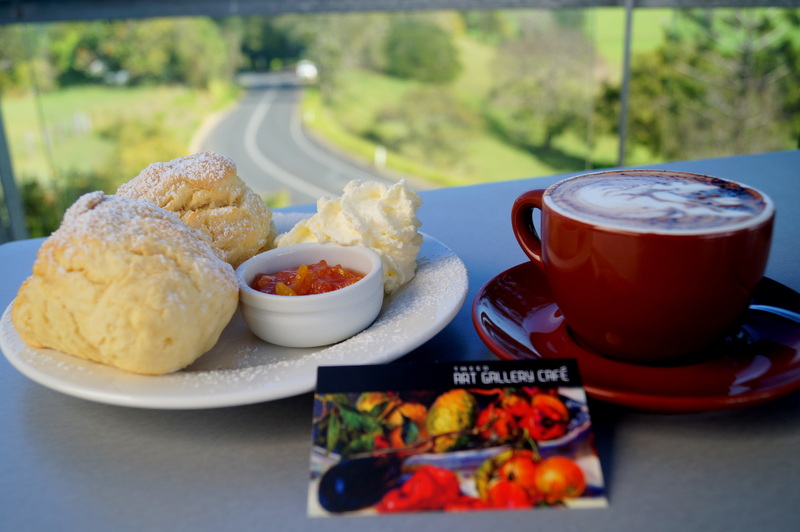 Viewing exquisite art can be hard work, so we decided to take a lunch break and finish off the gallery in the afternoon. 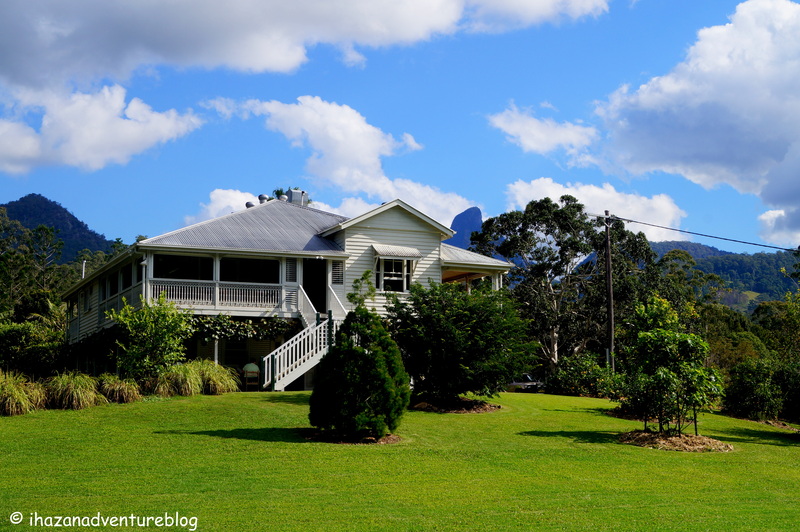 With Mount Warning literally in our sights, we headed on down to a favourite hidden gem of ours – Mavis’s Kitchen. 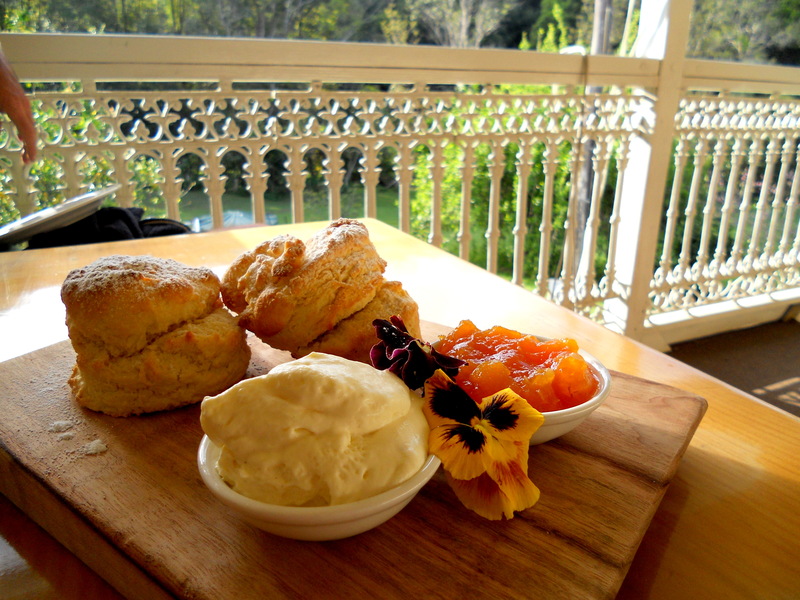 Mavis’s Kitchen is a quaint restaurant/guesthouse nestled at the base of mystical Mount Warning. 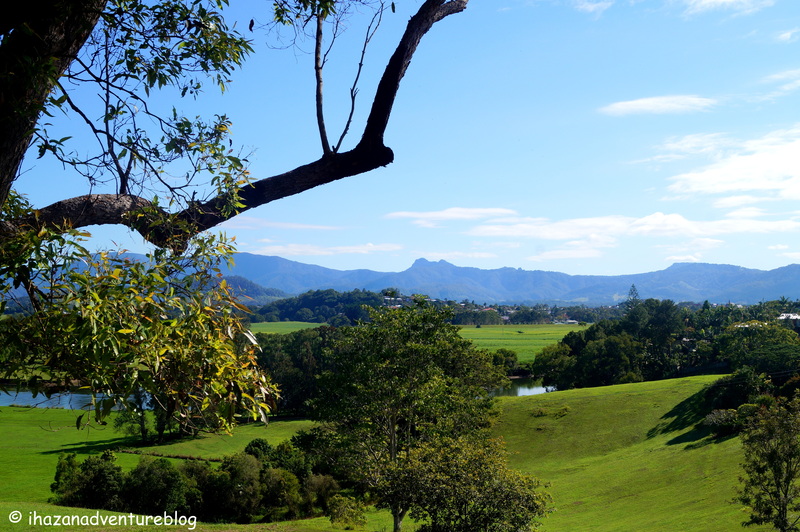 Mount Warning is also traditionally known as Wollumbin, which means ‘cloud catcher’. Here we see it living up to its name! 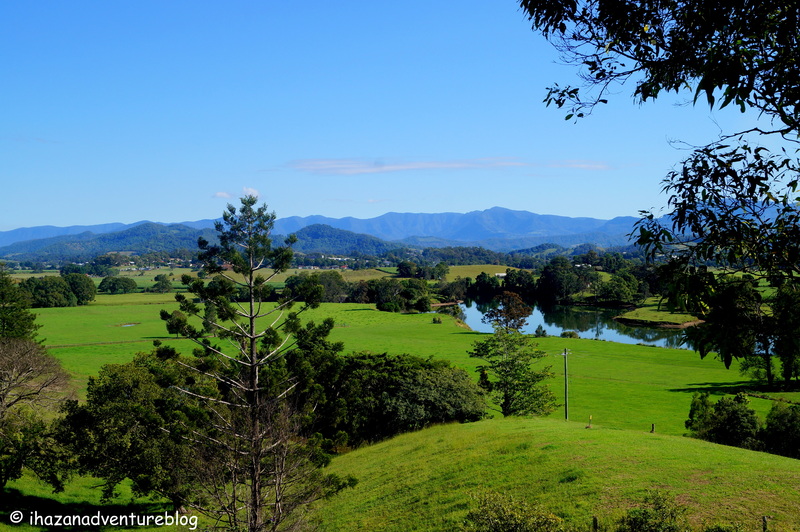 On a clear day, the summit has stunning panoramic views over the entire Tweed valley. 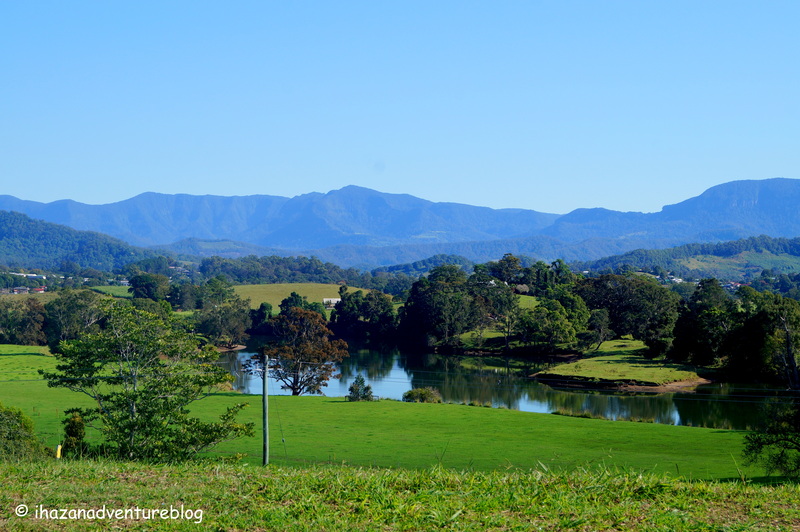 Wollumbin is the central vent, and all that remains of an extinct volcano. 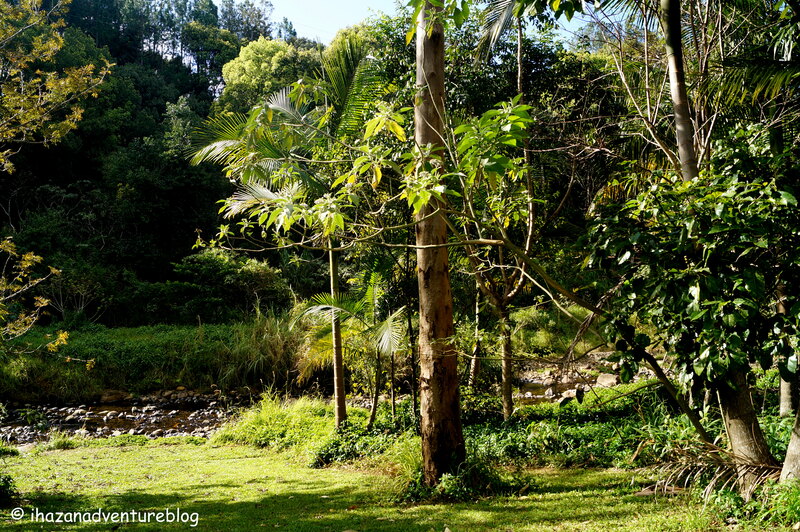 Its proximity to Byron Bay, the most easterly point in Australia, means that it is the first place to catch the morning sun’s rays on the Australian mainland. 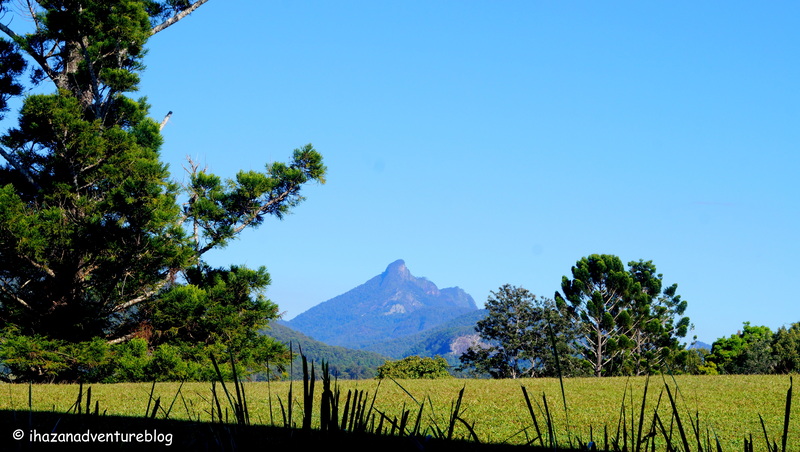 Watching the dawn rise from the summit is a popular tourist attraction, however some may choose to honour the cultural traditions of the Bundjalung people who request that the mountain not be climbed. 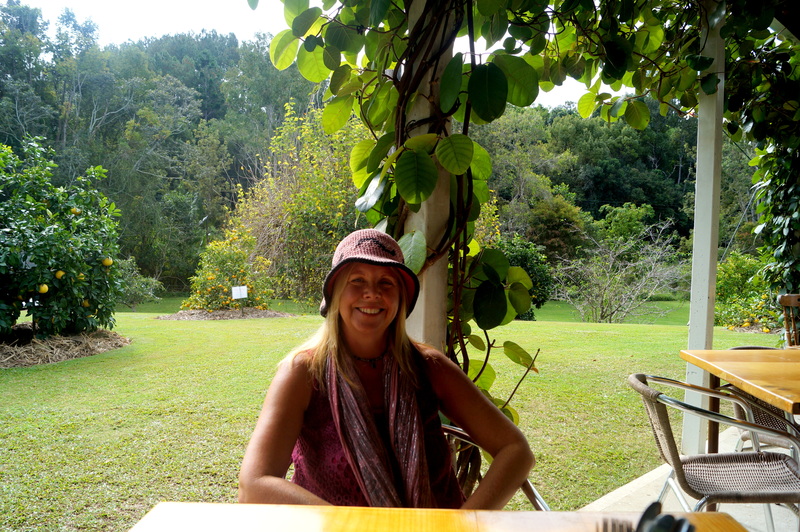 These delightful gardens made a perfect setting for lunch and we choose a table set amongst the citrus orchards. 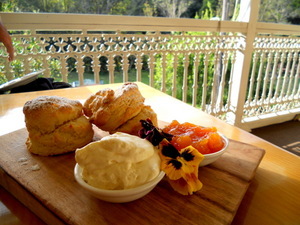 This restaurant also has its own on-site organic garden where a large portion of the produce for the meals is sourced. 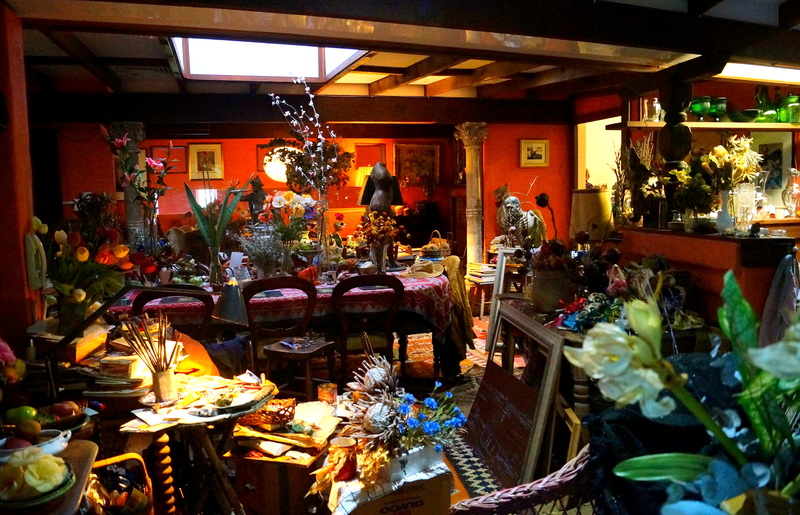 Back to the gallery for round two, and a more thorough inspection of Margaret Olley’s re-created home studio. This morning we did a one hour tour of the entire gallery which was outstanding. You never know what you’re going to get with volunteer tour guides, but our guide today was exceptional and provided a very informative, interesting, and thorough tour. This afternoon’s return visit proved to be a lot less busy, giving more opportunity to explore the works at our own pace. Several local artists had their work for sale and it was encouraging to see that many of the pieces had already been sold. 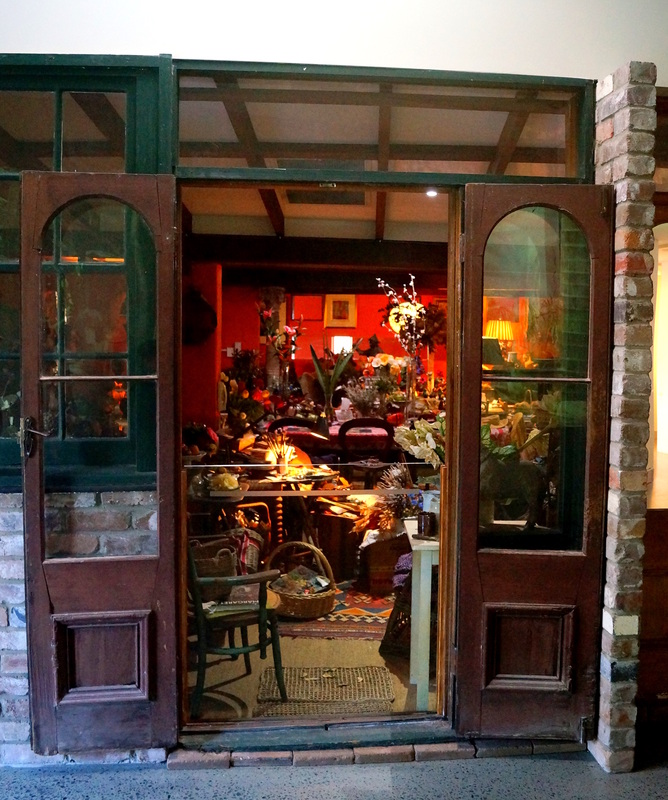 Looking at the Olley rooms was like taking a peek into the life of the artist; the replication felt very realistic, and combined with the background knowledge given to us by the tour guide, I felt I could get a sense of who Margaret Olley was, and how she must have felt living and working in this space. 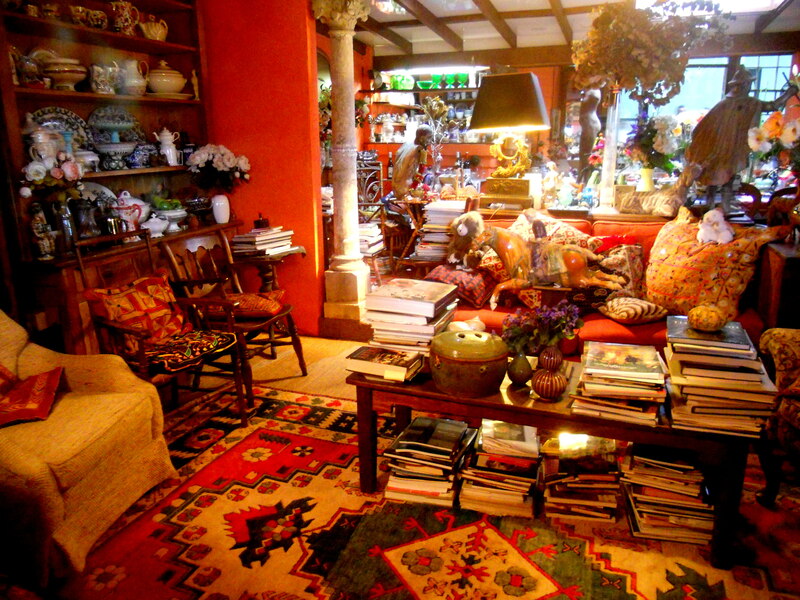 It felt voyeuristic peering through the windows into the cluttered, organised chaos that was Margaret Olley’s domain. A residence where celebrities, artists, socialites, and heads of state gathered to dine and be uplifted by their gregarious host. And a home that cradled her to her grave, after birthing magnificent works of art which will continue to be enjoyed by present and future generations for years to come.